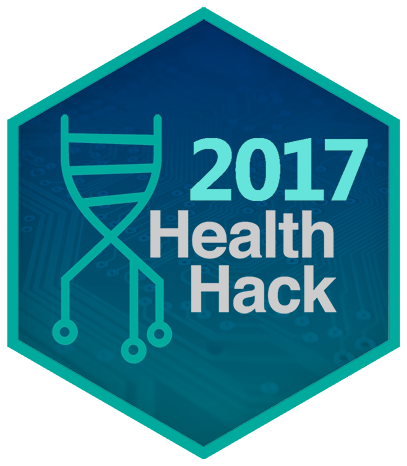 We saw some great stuff achieved at this year’s HealthHack. You can see details of the problems that were pitched on website and see the action from the weekend on our Twitter and Linkedin. You can really dig into the details at our GitHub (our projects are open source), see videos from events at our YouTube playlist, or read some of the wonderful articles our participants have written and/or have had written about them. We saw a wonderful range of projects delivered at the Brisbane node. You can get a really good feel for the event via Roisin McMahon’s review or Nick Hamilton’s photos. We surveyed our problem owners after the event and we’ve included some of their feedback below as well. Team Show me MND built an application to enable individuals with motor neuron disease to self-report symptoms to optimise their health care. They won 2nd place. What progress did you did you make towards solving your problem? We got a working prototype of the App by the end of the HealthHack. What has happened since the event? We are now working with some members of the team developing a more extensive prototype, also planning on full development and maintenance of the app. Depending on funding. We have applied for funding, grant outcomes expected mid 2018. 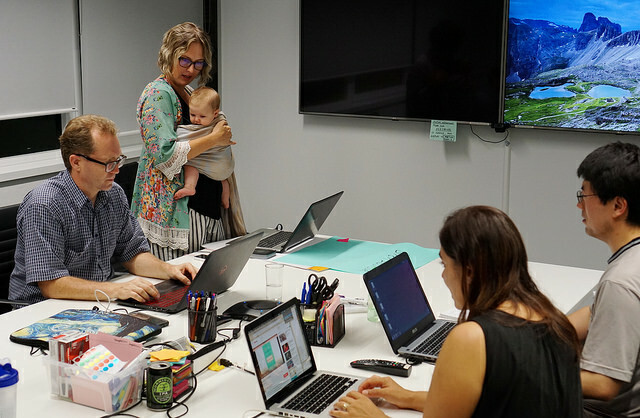 Team Birth Advisor created a database to help mums choose the best place to birth. One of their coders, Tracy, won our Supreme Coder award. What has happened since the event? Have networked and showed what we built to various govt departments. We are planning on using it to apply for grants in 2018. Team Yarning created a culturally sensitive app using storytelling to help end-of-life care for indigenous people. They won 1st place and the Design Award. Since HealthHack the app Yarning worked on has continued to be developed and is one step closer to being made available to the public. Team 24x7 Vitals measured fatigue symptoms with discrete tech to help people preempt medical emergencies. Team Andra built an Alexa bot on top of a robot platform that conducts conversations about your emotional state, and responds appropriately. They won 3rd place. Team Clinic2Cloud worked on anonymous (with defacing) clinical image processing for the cloud. They used docker and cloud services to build a complete image processing pipeline in 12 hours. Describe HeathHack 2017 in 5 words: Fun weekend, with interesting people. What progress did you did you make towards solving your problem? We designed the application and developed a quite mature prototype. What has happened since the event? Written two articles about it. Met the team once for drinks. Are planning to meet again for coding in Feb and applying for funding to pay for the cloud costs. Team PhinD! Worked on connecting PhD students and providing support for their mental health. It was designed to help improve wellness for PhD students - a very important resource for a very important problem. Sydney was a shorter event than Brisbane but that didn’t mean we saw any less fantastic projects delivered. Team OzMosis delivered "Intent" an education solution that acts as a single source of objective, yet relatable, data about fertility issues. Team CardioSurf’s created a visualisation tool to condense various types of heart rate monitoring data into one experience for timely evaluation and feedback. Team Hackers.1 delivered Genome Decision Makers an automated genomic data visualisation tool. Team MTP Connect delivered grant search system, which is an aggregator for multiple grant databases. Team Hello Sunday Morning addresses alcohol problems by focusing on supporting and leveraging the relationships around the drinkers to help people “change together”. Team Phyiso ROM created a cloud based AI that tracked the progress of Range of Motion (ROM) abilities of physiotherapy patients using Computer Vision. They won 1st place. 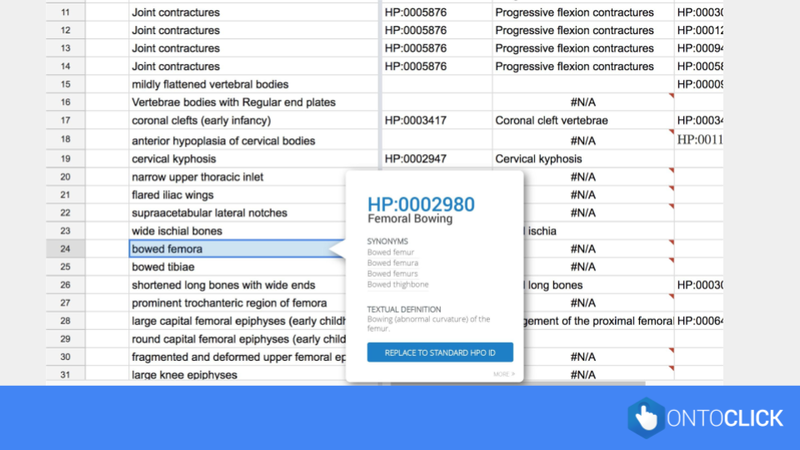 Team OntoClick delivered a Chrome extension that turns your messy biomedical data into a beautiful standard ontology term with just one click. They won 3rd place. Team Cancer Trial Matcher automated and improved visibility of available and relevant clinical cancer trials. They won 2nd place. 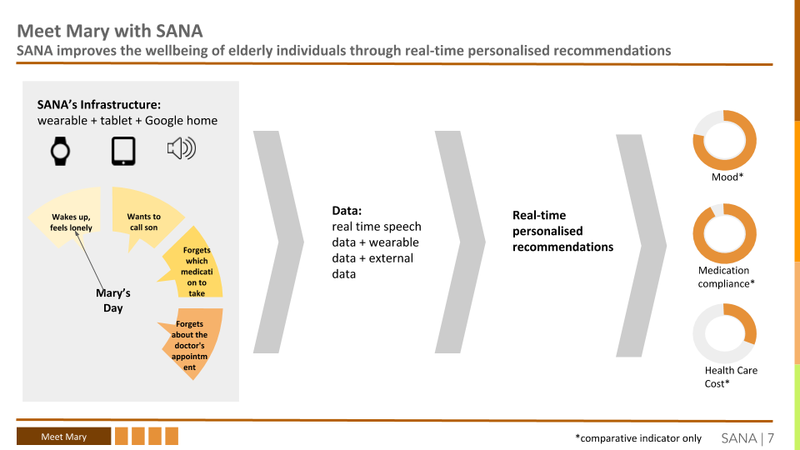 Team SANA Digital Health worked on delivery of digital health to the elderly. They took out the innovation award. Thanks as well to our wonderful sponsors, without which nothing happens.